The Cristal Hotel in Caldas da Rainha has all the services that a hotel needs to offer, even if you just want to spend one night. 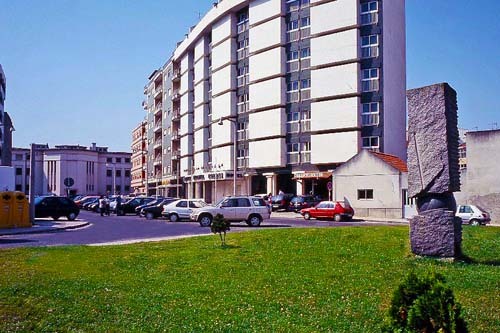 Located in the bureaucratic center of Caldas da Rainha city, it wins for its great location. The Cristal Hotel has 113 rooms (doubles, triples and suites) with full bathroom equipped with shower and hairdryer, air conditioning / heating, satellite TV and telephone with direct line to exterior. And if you want so, you can book a city tour with us! Discover the history, monuments and the stories of Caldas da Rainha!